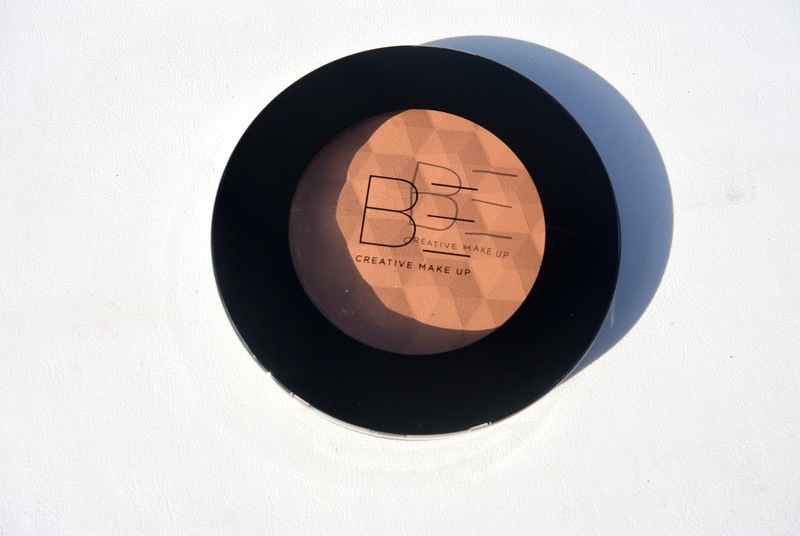 A week ago, I already showed you an eyeshadow quad from the brand BE creative makeup here. 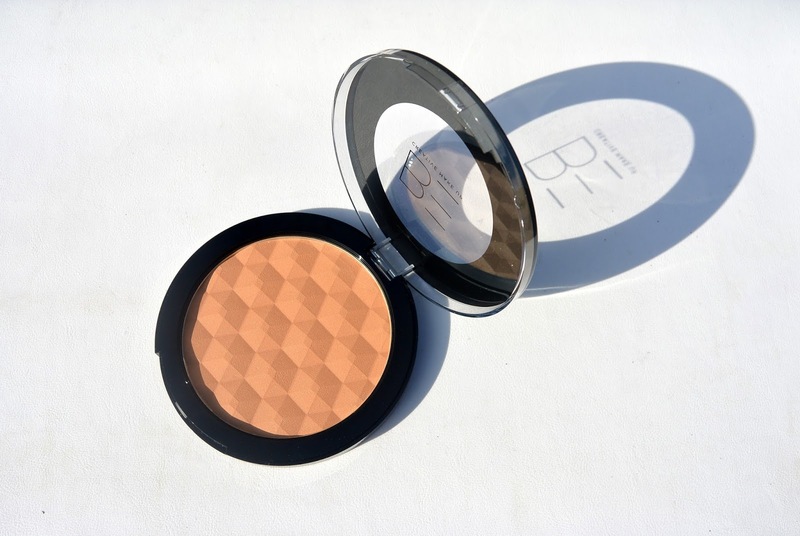 This week I will be showing you the bronzer from the same brand. As known, BE creative makeup has very simple packaging. But I don't mind, it is a simple black box with a see-through hole in it. That way you can clearly see which product you are buying. When opening the box, a big round palette comes out of it. 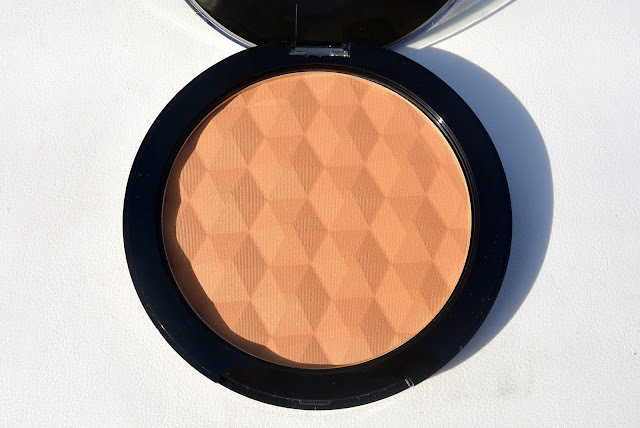 What a lovely pattern in the bronzer, I love it when a brand does something special with the pattern of the products. 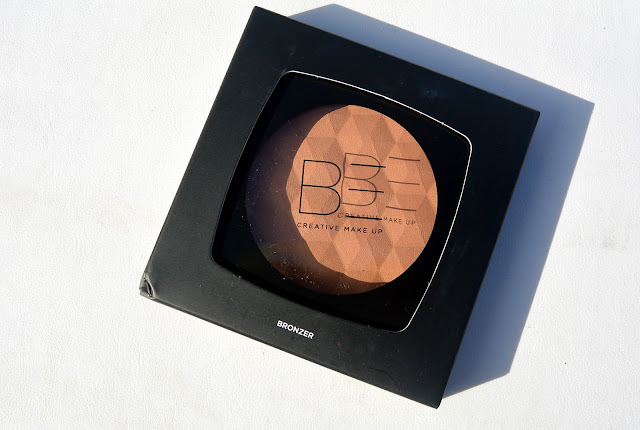 This bronzer from BE creative makeup is very easy to use. You apply it in a shape of a 3 on your forehead, under the cheekbones and under your chin. The powder is very subtle and raffinated. You can use it to shape your face a little, or it can be used to give your skin a touch of sun. When you apply it all over your face, be sure not to use too much product at once. You better start of gently and add some more than overdoing it immediately. The powder evens out your skin tone and adds a soft touch of shimmer to your face for a radiant look. This powder is available in 3 different shades: 001, 002 and 003. 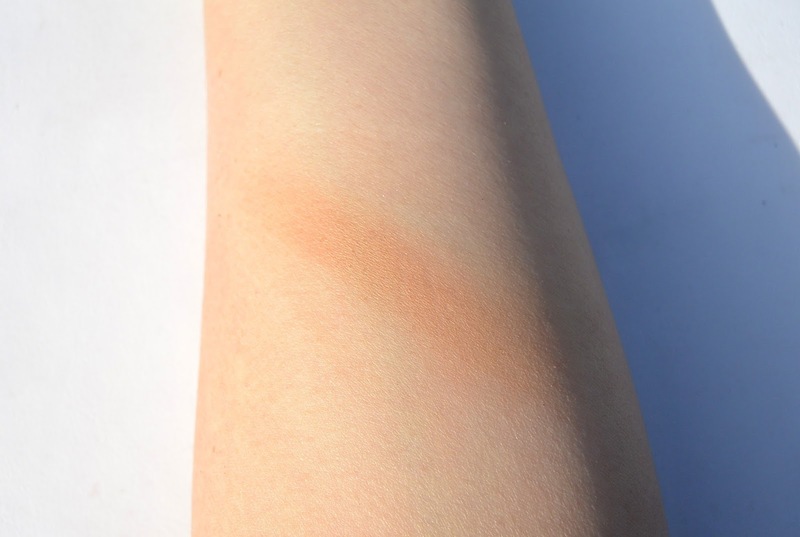 The shade used in the swatch above is shade 002. What do you think about this bronzer? Are you also in love with the pattern in it? Goede en duidelijke review! De bronzer lijkt me perfect van kleur! Mooi en fijne kleur, zo te zien. Doet mij qua embossing een beetje denken aan de honey bronzer van The Body Shop!